An overwhelming majority of the United Nations General Assembly voted in favor, Wednesday, on 5 draft resolutions in favor of Palestine. President Abbas says that he is ready to set up a Palestinian state on 22 percent of historical Palestine, and has called on the international community for support. The UN decision comes after the Assembly discussed two articles: "The Palestinian Cause" and "The Conditions in the Middle East". 1. The resolution titled "Using Amicable Methods to Resolve the Palestinian Cause"; the voting results were: 148 in favor to 6 against, with 8 abstentions. 2. The resolution regarding "Jerusalem", with 144 votes in favor to 6 against, with 10 abstentions. 3. The resolution titled "The Informational Program about the Palestinian Cause", which is being handled by the administration of media affairs for the Secretary-General of the United Nations, with 147 votes in favor to 7 against, with 9 abstentions. 4. The resolution titled "Committee for Palestinians' Right to Exercise Ownership of Their Inalienable Rights"; the voting results were: 94 in favor to 7 against, with 56 abstentions. 5. The resolution titled "The Section of Palestinians Rights", with 91 votes in favor to 7 against, with 59 abstentions. After the voting process, Permanent Observer of Palestine to the United Nations, Riyad Mansour, gave a speech expressing his gratitude and thanks to the member countries of the UN, for their initial stand, and their votes in favor of resolutions which show their support to the Palestinian cause. Mansour stated that the community represented by the United Nations' protection of international law is a source of comfort and support to the Palestinian people which will help them in their continuing journey of resistance and striving to maintain their inalienable rights, and bringing an end to the Israeli occupation, which will liberate the State of Palestine and its capitol, Jerusalem, and fulfill the two-state solution. 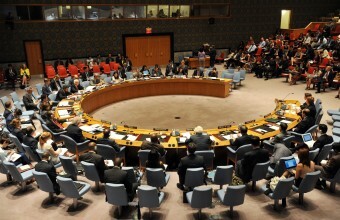 The ambassador also affirmed the importance of the approved resolutions, saying that what affects the credibility of the United Nations is not, as some claim, the adoption of these resolutions but the non-existence of a necessary political will to force Israel to show respect to these resolutions and apply it. Mansour recently spoke on behalf of PA President Mahmoud Abbas in a special meeting of the Committee on the Exercise of the Inalienable Rights of the Palestinian People, on the International Day of Solidarity with the Palestinian People. President Abbas says that he is ready to set up a Palestinian state on 22 percent of historical Palestine, and called on the international community to compel Israel to meet the terms of its legal obligations regarding international resolutions. Anadolu Agency reports that the official statement included the PA's readiness to resolve the conflict with Israel in accordance with international resolutions and establish a Palestinian state on only 22 per cent of historical Palestine, with East Jerusalem as its capital. Furthermore, it was mentioned that, as part of his resolution, a just solution for Palestinian refugees should be found in accordance with the UN resolutions. "The time has come to find the political will in order to work seriously for achieving the inalienable rights of the Palestinian people, including the independence of the Palestinian state on the bases of 1967," Mansour said. "The State of Palestine had, through the Arab Group, presented a draft resolution to the Security Council to set a timeframe for ending the Israeli occupation," he added. "The State of Palestine continued to act with utmost responsibility to serve its people and uphold its legal obligations and international commitments. It had stood ready for decades to reach a solution to the conflict, and despite diminishing hopes and a dangerous situation on the ground; it remained committed to the two-state solution." Abbas calls for ending all Judaisation measures in occupied East Jerusalem, as well as actions aiming to change the Christian and Islamic Palestinian identity of the holy city, and to refrain from attempts at dividing al-Aqsa Mosque. The meeting was held in context of the International Day, observed annually on November 29 to mark the date in 1947, when the General Assembly adopted a resolution partitioning Palestine into two states, PNN further reports. Many Palestinians strongly oppose Abbas´ statement regarding a possible Palestinian state on 22 percent of the land, as it recognizes Israel as a state and gives up Historical Palestine and excludes the Right of Return. However, Foreign Minister Riad Malki announced, on Monday, that the PA has decided to delay its statehood bid at the United Nations Security Council, which was supposed to take place at the end of this month. The decision to delay thebid came after pressure and threats by US, along with lack of back-up from the council members. Member of Hamas’s political bureau Dr. Mousa Abu Marzouk confirmed that PA chairman Mahmoud Abbas’s attempts to exclude Hamas Movement from the political scene will certainly fail. In his remarks to al-Aqsa TV Channel, Abu Marzouk confirmed that his Movement will never abandon Gaza public sector staffs’ rights to receive their salaries. Our priorities are mainly based on Palestinian national unity and reconciliation, he added. He pointed out that the PA considers Gaza as a heavy burden that cannot be treated as the West Bank especially that it is not included in its 2015 budget. Some describes Gazans as second-class citizens, he said. Concerning the ongoing events in occupied Jerusalem, Abu Marzouk stressed that the continued clashes in the occupied city stopped Israel’s schemes to divide al-Aqsa Mosque. The resistance operations in occupied Jerusalem were individual operations, however they reflect a mass culture for our people in occupied Jerusalem, he continued. Abu Marzouk called upon the Palestinian people to move in support of occupied Jerusalem regardless of the Israeli and PA coordinated restrictions. The ongoing events in occupied Jerusalem managed to stop Israeli ambitions to take control over al-Aqsa Mosque, forcing Israeli authorities to prevent Jewish rabbis’ access into its plazas. Regarding the reconstruction file, he said that UN special envoy to the Middle East Robert Serry’s reconstruction plan was not submitted to Hamas Movement before its declaration. 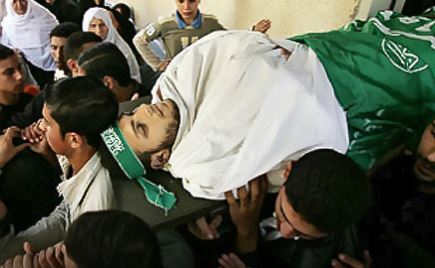 The Al-Qassam Brigades, the armed wing of the Hamas movement, stated Tuesday that one of its fighters was killed during training, east of Gaza City. The brigades said the fighter, identified as Abdullah Mojahed ‘Oleyyan, 18 years of age, is from the Tuffah neighborhood in Gaza City. It added that ‘Oleyyan was killed during training on Monday evening, adding that it will continue its mission “to protect the Palestinian people, and defend their legitimate rights until liberation and independence. There have been several fighters who were killed during training in different parts of the coastal region, while many died during tunnel accidents, mainly in Rafah, in the southern part of the Gaza Strip. The Al-Qassam Brigades is the biggest armed resistance groups in the Gaza Strip. 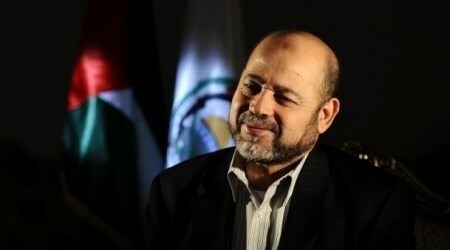 Deputy political bureau chairman of Hamas Ismail Haneyya discussed with Palestinian premier Rami al-Hamdullah a number of “important topics” over the phone. Haneyy’s office said in a terse statement that the phone call on Sunday evening tackled a number of key issues but would not go into details. 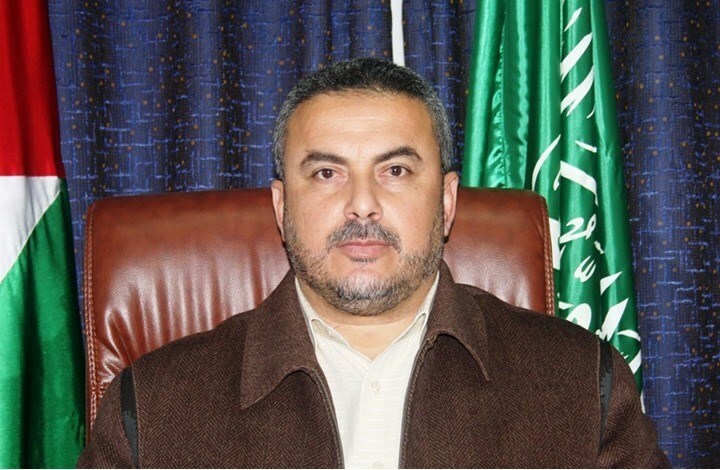 Relations between Hamas and the consensus government of Hamdullah are currently tense due to the latter’s disregard to Gaza Strip’s needs and constant delay in solving the issue of Gaza civil servants who were appointed during Hamas’s rule of the enclave and who did not receive salaries for more than six months. A senior Hamas delegation is set to head to Malaysia to partake in a conference held by the ruling UMNO party. 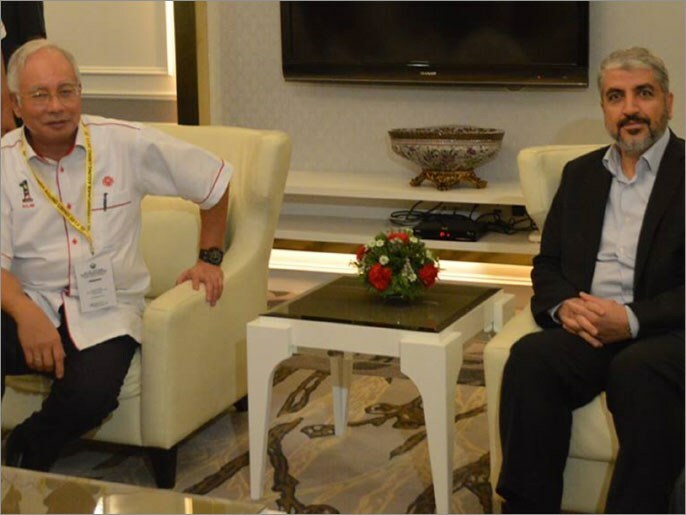 The Hamas delegation, spearheaded by political bureau member Mohamed Nasr, and comprising Hamas representative in Iran Khaled al-Qadoumi, among other Hamas officials, is expected to join the UMNO conference to be staged in the Putra World Trade Center. The Hamas delegates’ visit, set to end Thursday, is expected to include a round of meetings with Malaysian ministers, MPs, and representatives of a consortium of civil society institutions. Observers said the visit represents an occasion to boost up the Hamas-Malaysia fraternity bonds. Earlier, one year ago, Hamas’s topmost official Khaled Mishaal partook in the UMNO general assembly, a move that reinforced even further the strong Malaysian-Palestinian ties. German chancellor Angela Merkel on Friday rejected the idea of her country recognizing Palestine as a state unilaterally, saying the Palestinians and Israelis should keep negotiating until they agree on a solution to the seemingly never-ending conflict. 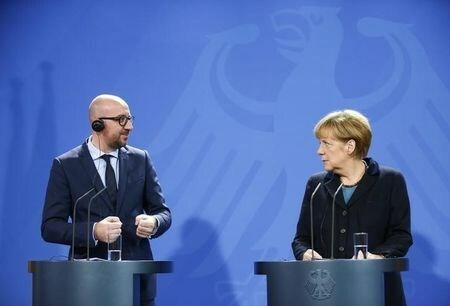 Merkel made her remarks in a joint news conference after a meeting with Belgian premier Charles Michel in Berlin. She stressed that both sides should agree on a solution leading to the establishment of two states, Israel and Palestine, coexisting side by side. "From our point of view, a unilateral recognition of the Palestinian state would not move us forward on the way to a two-state solution," the chancellor said. She also criticized the Swedish government for officially recognizing last month the Palestinian state. For his part, Michel said that Belgium generally feel like to recognize Palestine as a state, but he stressed the need for a common European Union position in this regard. Since the 28 member states of the European Union would need to decide unanimously on recognizing Palestine as a state, Merkel's objection amounts to a veto in principle on such step. On Tuesday, Spanish lawmakers urged their government to recognize Palestine. The symbolic motion was backed by all the political blocs of Spain's lower house. Britain and Ireland approved similar non-binding motions last month, which call on their governments to recognize Palestine as a state. The Swedish government last month officially recognized the state of Palestine with foreign minister Margot Wallstrom voicing hope that the move would invigorate international diplomacy to end decades of the Israeli-Palestinian conflict. 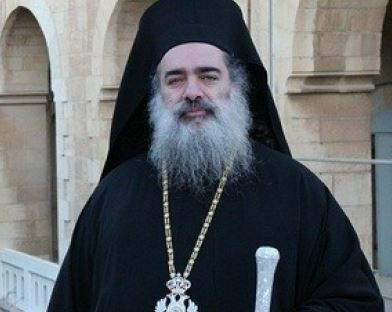 Patriarch of the Greek Orthodox Church in Palestine, Archbishop of Sebastia (Theodosius) Attallah Hanna, called on the world community to fully recognize all legitimate Palestinian rights of liberation and independence. Archbishop Hanna said what is happening in Jerusalem, the deadly escalation in the city, stems from Israel’s ongoing injustice, and violations, against the Palestinian people, their property and their holy site. Talking to the Greek Orthodox Radio in Athens, on Saturday morning, Hanna said the Palestinian people are intellectuals, a civilized nation that wants to live in peace, and to end the injustice inflicted on them by the occupation, Israel’s illegal policies, and constant violations. He said that people and counties around the world, and every person who defends human rights and works for justice, must deliver the message of the Palestinians, facing ongoing injustice, and must help the Palestinians end this illegal occupation and oppression. He said that all European countries, every country around the world, must have the courage to recognize all legitimate Palestinian rights, so that the Palestinian can live in peace and liberty in their homeland. Hanna further called on all Orthodox Churches, Catholic Churches, and every church around the world to defend the Palestinian rights, and to help them gain their freedom. He also called for ending the destruction of Syria, the aggression that is targeting the country and its people, and called for more extensive efforts to release every kidnapped person, including the two abducted priests. In addition, Hanna said Iraq, a country with deep historical roots, culture and civilization, is still suffering, and continues to suffer more death and destruction. Spanish lawmakers Tuesday voted overwhelmingly to recognize Palestinian statehood following outright calls by the socialists. 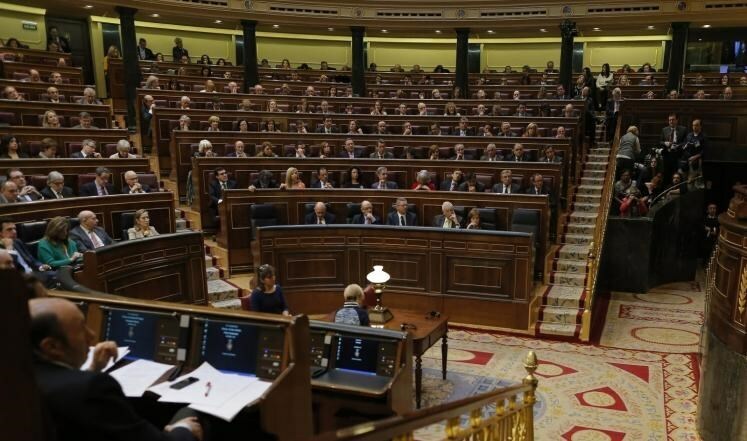 Spain’s Congress of Deputies passed the symbolic, non-binding motion following appeals to that end put forward by the largest opposition party, the Spanish Socialist Workers Party, urging the Madrid government to recognize Palestine as a state. The non-binding motion passed with 319 votes in favor, two opposed and a single abstention. The Spanish vote comes after a similar, although vaster, initiative from Sweden, which fully recognized Palestine last month. Spanish Foreign Minister Jose Manuel Garcia Margallo said the government will consider recognizing Palestinian statehood as a projected way-out of the “peace crisis” in the region. The move comes to join the UK and Sweden in holding votes to recognize Palestinian statehood. The French parliament is also expected to vote on a non-binding bid to recognize Palestine as a state. European leaders have recently shown signs of mounting impatience with Israel over its continued illegal settlement-building in the Occupied Palestinian territories. Anti-Israel criticism has turned sharper in the wake of the 51-day Israeli offensive on Gaza, murdering some 2,100 Palestinians and leaving at least 11,000 others injured. The Spanish government on Tuesday is set to vote on a bid pushing for the recognition of the Palestinian state, Spanish Foreign Minister Jose Manuel Garcia Margallo said. The Spanish Minister of Foreign Affairs said the government will consider recognizing Palestinian statehood as a projected way-out of the “peace crisis” in the region. The French parliament is also expected to vote on a non-binding proposal to recognize Palestine as a state. European leaders have shown signs of mounting impatience with Israel over its continued illegal settlement-building in the Occupied Palestinian territories. Senior Hamas official, Ismail Redwan, on Sunday called for breaking up the Palestinian unity government and appointing a new government in its place. Redwan slammed the current Palestinian unity government for having fallen short of its assigned missions. He called for an alternate national unity government capable of living up to its duties towards the Palestinian people. 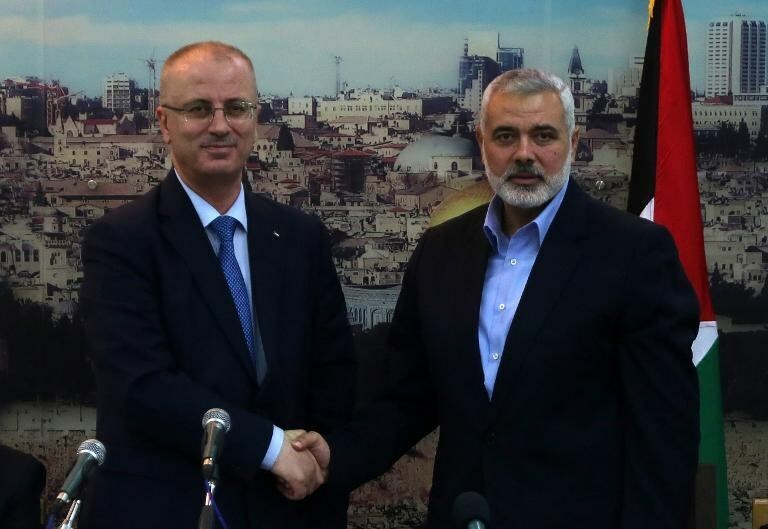 Redwan cited the Cairo-brokered agreement between Hamas and Fatah, stipulating that elections must be called within six months of the coalition taking form. Redwan’s reaction came as a response to the failure of the unity government to address the current crises in the Gaza Strip, lift the siege, re-open the border-crossings, and launch the reconstruction process, among many other breakdowns. Redwan said that if such steps were not taken to dismantle the government, Hamas would be left with no other choice than to explore alternative options, a step that is currently deliberated with national factions. “An overall Palestinian consensus is quite urgently needed to overcome the dilemma,” he further insisted. The Palestinian unity government took over on June 2, 2014 following a round of talks with the Palestinian national factions in an attempt to heal the rift between Hamas and Fatah movements.